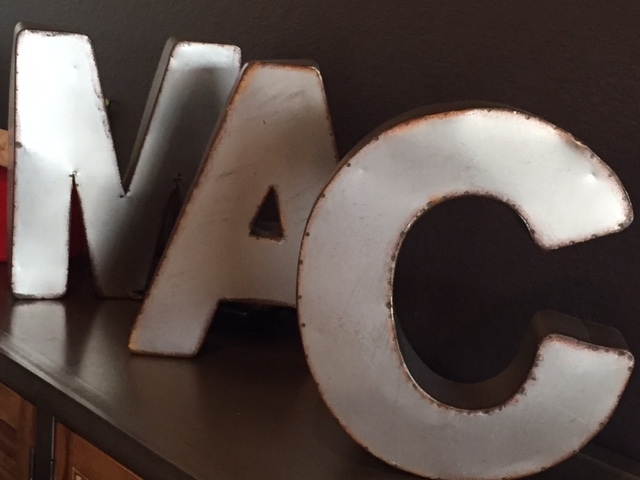 I reviewed Mac’s in Sun Prairie in March and I loved it. But I’ve been back several times since then and I feel like I need to reiterate how great their mac and cheese is. 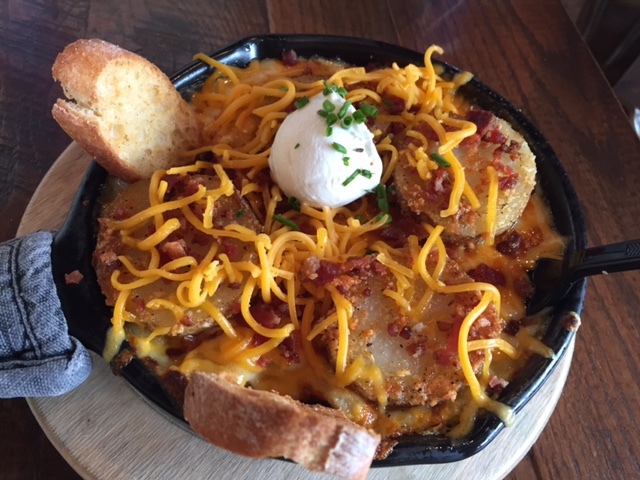 The first time I went I got the loaded baked potato mac and cheese…it is rich, creamy and super indulgent. The potatoes, sour cream and bacon added a great layer to the mac and cheese. The second time I went I got to try the buffalo chicken mac and cheese and the chicken bacon ranch mac and cheese. I also got a second crack at the loaded baked potato mac and cheese. The loaded baked potato mac and cheese was just as great as the first time, but it was upstaged by the chicken bacon ranch mac. There’s just something this Wisconsin girl loves about ranch dressing drizzled on top of mac and cheese. 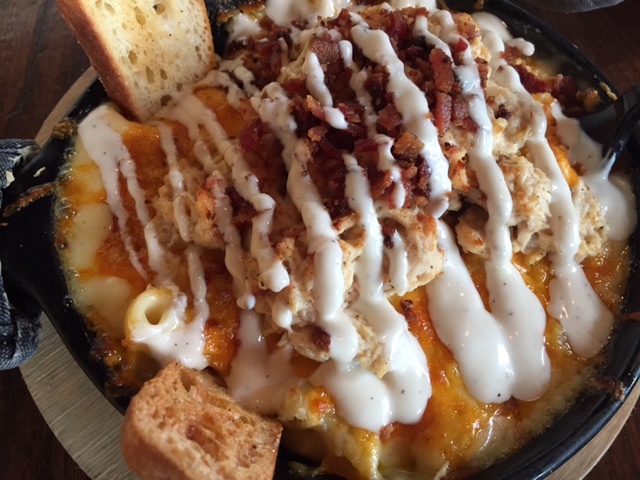 It was a genius move to put chicken and bacon on fantastic mac and cheese and then drizzle it with ranch dressing. 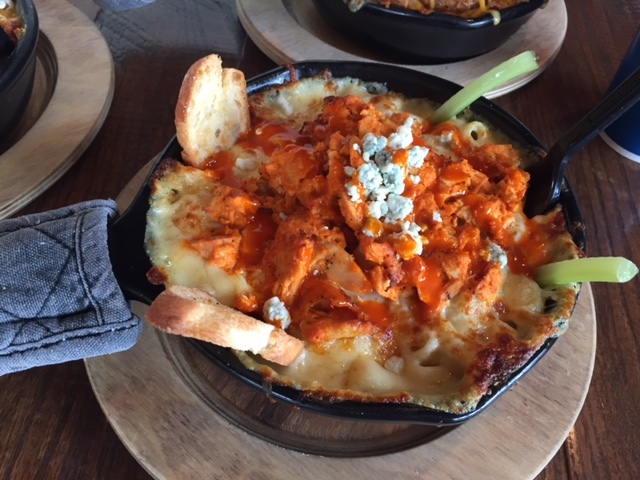 I also got to try the buffalo chicken mac and cheese, which I didn’t think I’d like but it was surprisingly good. The buffalo chicken wasn’t too spicy, and the tanginess of the sauce cut the heaviness of the mac and cheese perfectly. And the blue cheese (which I normally don’t like) didn’t over power anything. It also comes garnished with celery, which makes it seem healthier…haha! The third time I went, I got the chicken bacon ranch mac again but made my mom get the Memphis mac (sorry…I forgot to take pics! ), which comes topped with pulled pork, BBQ sauce and fried slices of onion. I’ve heard shredded BBQ pork is great with mac and cheese and boy were those people not kidding. The pork was perfectly tender and the sauce was tangy with just the right amount of kick. 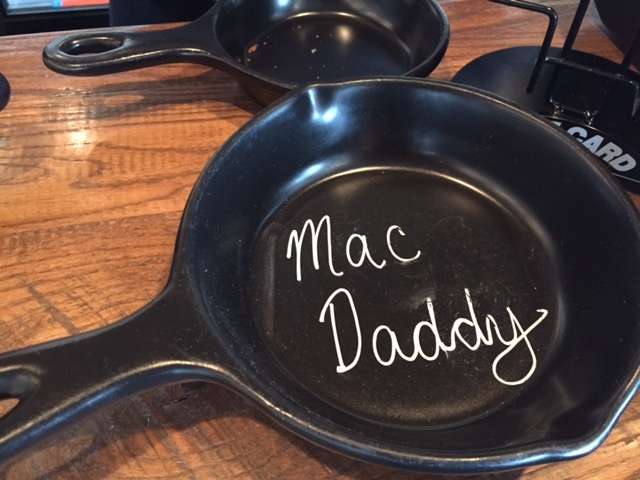 I loved my chicken bacon ranch mac…but I did go back for seconds, thirds and maybe fourths of my mom’s Memphis mac. FOOD NOTES: I’ve decided that you could top mac and cheese with pretty much anything and I would eat it. And Mac’s knows what they’re doing. I’ve officially tried four of their versions and would suggest any of them. 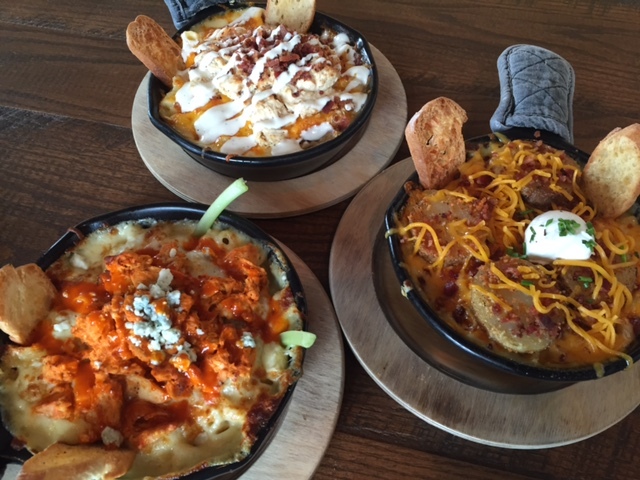 My favorite has to be the chicken bacon ranch, followed by a two-way tie for second — Memphis mac and loaded baked potato mac. Mac’s is, in my opinion, the best spot to indulge in some great mac and cheese with fantastic toppings. I want to try other flavors, but don’t think I could pass up my favorites…anyone want to go with me so I can try the type you get?!? !